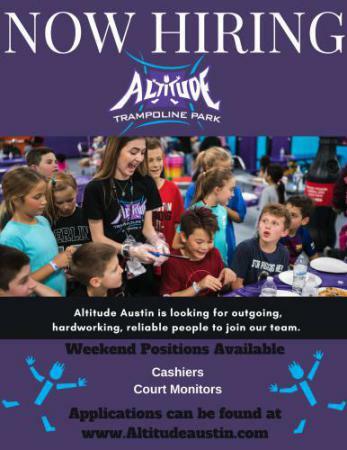 Altitude Austin is now looking for motivated team members! View and Apply for ATP jobs! Altitude Trampoline Park is currently looking for team members to join us as we launch the ultimate fun center! 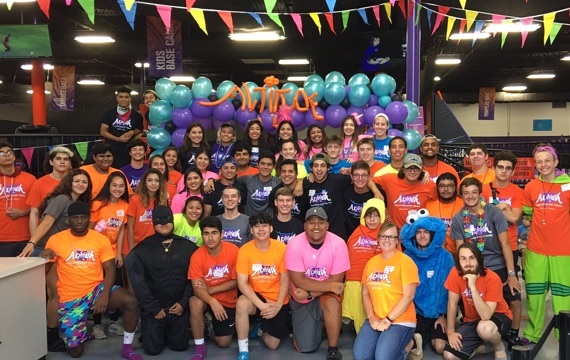 This team will carry on the strong tradition of excellence set forth by other Altitude Trampoline Parks. Team members will have fun providing a remarkable experience to all customers. While working in a trampoline park is fun, it’s hard work to be the best.